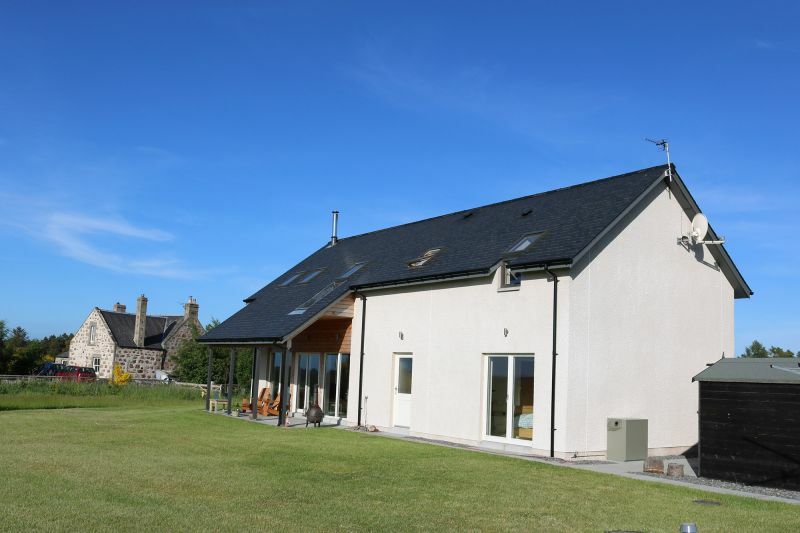 This property was constructed as part of a design and build contract for a private individual. 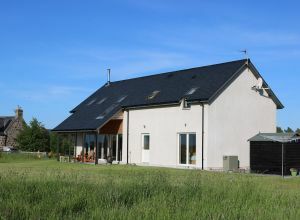 The client’s input was sought to incorporate the specific design features that they desired in the finished property. 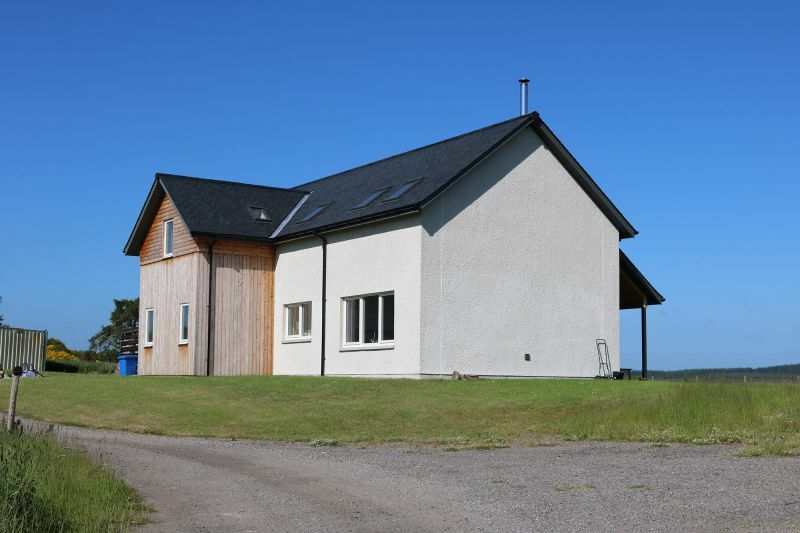 The house features four bedrooms with stunning views across the Nairnshire countryside towards the Moray Firth. 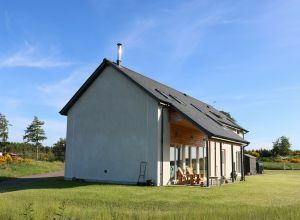 The house has a double height ceiling in the lounge which allows for a glass elevation which takes advantage of the aforementioned view. 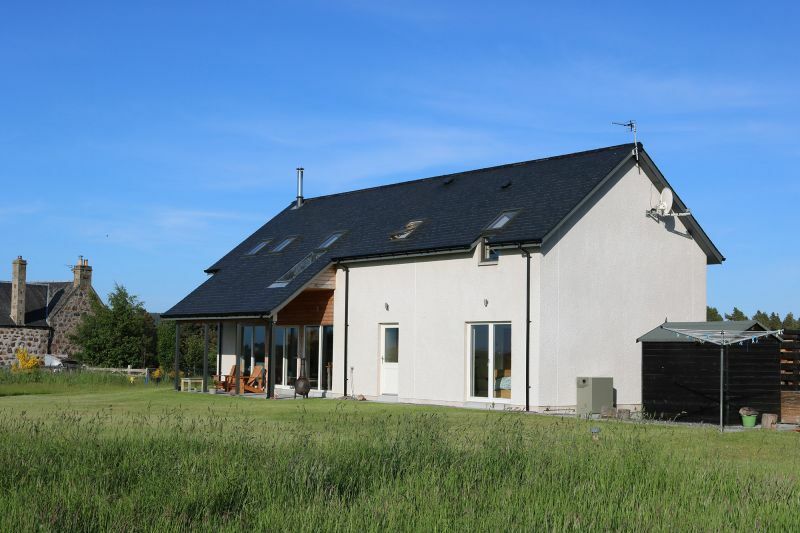 The client also wanted to incorporate a canopy veranda on the same elevation that allowed for outdoor enjoyment of the surroundings. 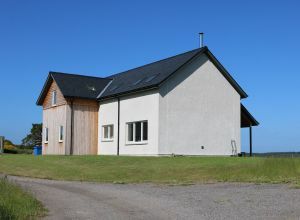 Design features include Val-U-Therm Plus, high thermal performance, timber kit, MHVR ventilation system, larch cladding, wood burning stove, double height ceiling to lounge, full glazed elevation, natural slate roof, open plan kitchen/family room, master bedroom with en suite, oak panel doors with glazed doors to living areas. 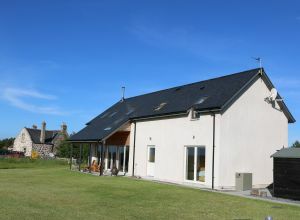 A bespoke property designed and built for a private client. 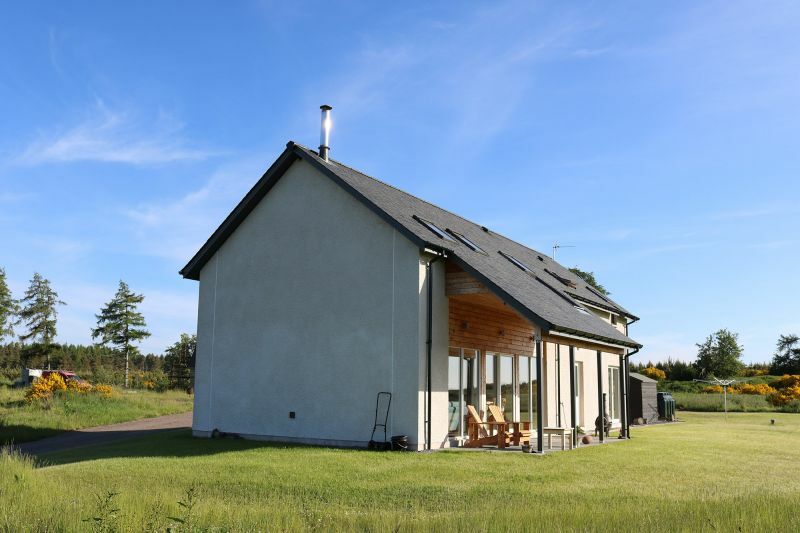 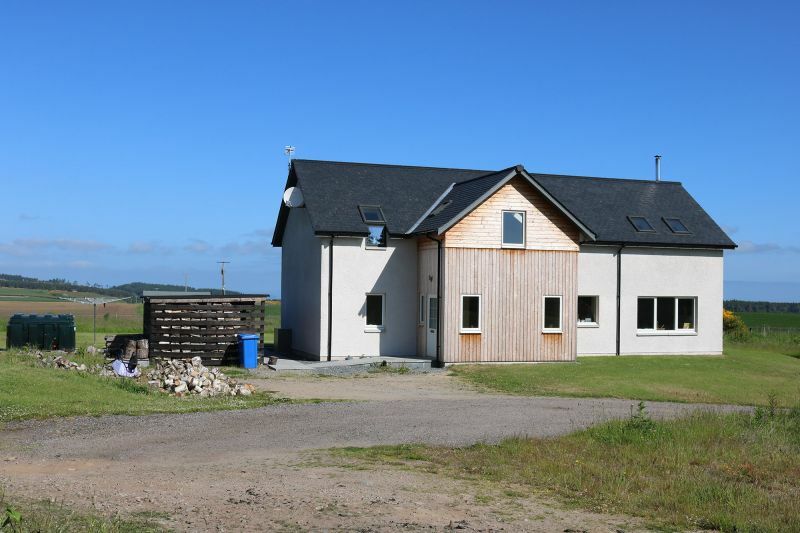 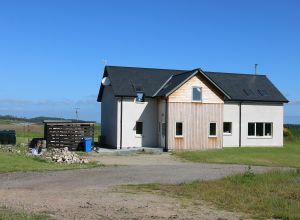 The house has panoramic views of the Nairnshire countryside and the design reflects our use of the property features to best take advantage of this.